Plan your evening. Then get up and have a remarkable day. Oh, wouldn’t that be wonderful? 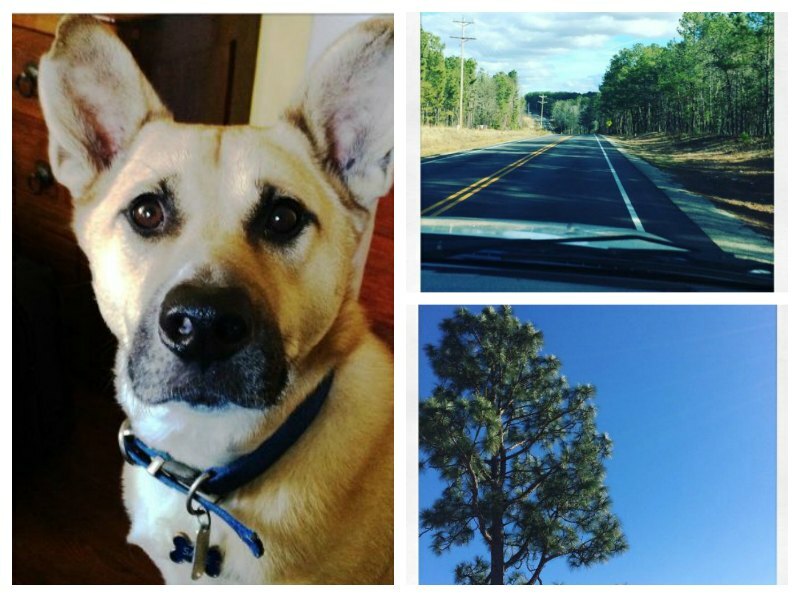 I’ve been having difficulty with my days – most have been disjointed and unproductive. Can you relate? Some of my disjointed-ness might be attributed to our nomadic lifestyle. We’re sleeping in different beds two or three times a week, and shlepping our stuff from house-sitting, back to the RV, and then onto taking care of dogs at another house. Don’t misunderstand me – I LOVE our experiences. I’m having such fun with soaking in a hot-tub and looking up at the blue sky at one house-sit, (along with cooking in a real oven, and having a washer/dryer at hand!) and loving on two big dogs at the other house-sit. I thought all this moving about was messing with my productivity during the day – it’s not! It occurred to me – it’s not so much what I’m doing during the day that’s the big problem – it’s my evenings! Rob and I are indulging in multiple episodes of Big Bang Theory on video. The evenings are being eaten up by stupid, mindless stuff. Worse yet, none of what I’m doing is preparing me for the day ahead. After an evening of messing-about, I don’t sleep well. And then the next day begins and I’m already at a disadvantage. (sigh) And this doesn’t help Rob or me or anyone else. At all. And I’ve been working through it. What is the most frustrating thing in my life right now? What is one area that, if changed, would make the biggest impact? What am I struggling with most right now? What drew me to consider starting this course in the frst place? At the end of this course, if I only changed one thing, what one thing would make the biggest difference in my life? Over the 14 days she had me looking at my calendar, facing my flaws (my greatest is procrastination, if you didn’t already know), deciding how to prep for the day ahead, priortizing what’s really important, and more. 14 Days of doing things differently in the evening has resulted in remarkable days! What does my planned evening look like? we pray together before we both are in bed, because he goes to bed after I do. Is it all working well? No. I still struggle with procrastinating, and the time still gets away with me. But it’s only been a few weeks. And you know what’s different… ? I think that’s the biggest benefit for me after going through this course – I have a plan to have a better evening. 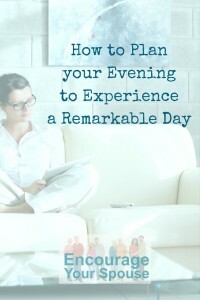 I really, truly understand the deeper reason why I need a plan for my evenings – and that keeps me focused. No matter where I’m going to sleep (in our little-house-on-wheels, or in a hotel, or taking care of someone’s dogs/home while they’re away), I have a plan for my evening that will start the next day well – wherever I am. Remarkable. I need more remarkable days in my life… don’t you? Check out Crystal Paine’s 14-day course to plan your evening, “Make Over Your Evenings” to learn more! I’ve been sharing what I’m learning with Rob, and it’s one reason we’ve decided to change how we pray in the evening (the timing and intention). Though this course isn’t designed to change your family’s evening – just yours – it’ll have a positive impact on everyone in your family, including your spouse! What have we been doing since January? How have our days been remarkable? Well – we’ve been stepping out in faith… even though we’re not pretty TV people… and we’ve been making videos! For you! Mid-marriage Encouragement Videos. To learn more, go to our Patreon page! We will be posting one video every week. The first part of each video is scripted – and short, usually around 25 seconds. The second half of each video is longer (up to 5 minutes), where we discuss the concept and provide insights and suggestions to challenge you and your spouse to lead a meaningful life! We have 30 videos in the works. We record at YourLocalStudio in front of a green-screen. Then I chose a background (suggestions from Instagram were for us to be in the kitchen!). I’m learning to edit using Premier Pro, including adding in background music and transitions! Yes. Our days have been remarkable! 😉 Stay tuned for the release of the first Mid-Marriage Encouragement Video on Tuesday, February 21, 2017! 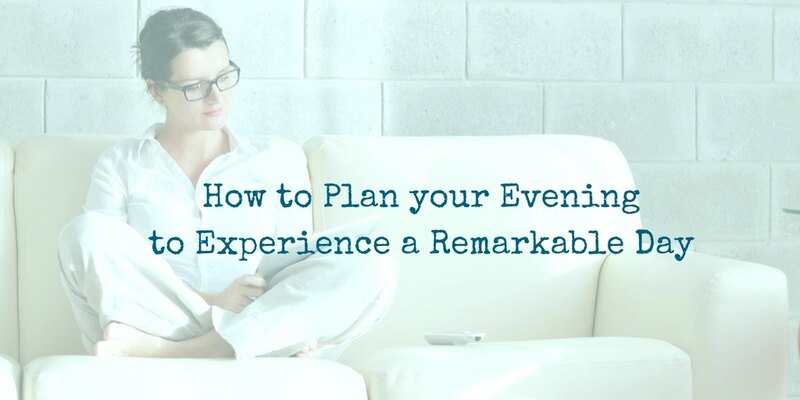 Do you have a plan for your evenings? What do your remarkable days look like?